You can also enjoy multiband performance without traps, coils, fans or other schemes. Simply cut two equal lengths of stranded copper wire. These are going to be the two halves of your dipole antenna. Don’t worry about the total length of the antenna. Just make it as long as possible. You won’t be trimming or adding wire to this dipole. 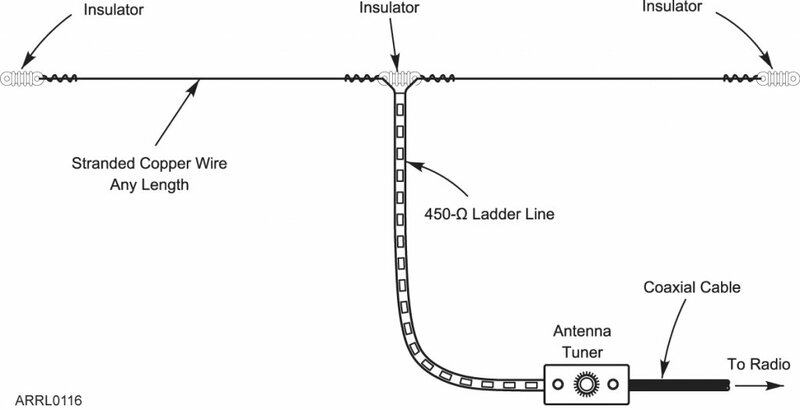 Feed the dipole in the center with 450-ohm ladder line (available from most ham dealers), and buy an antenna tuner with a balanced output. Feed the ladder line into your house, taking care to keep it from coming in contact with metal, and connect it to your tuner. Use regular coaxial cable between the antenna tuner and your radio. You can make this antenna yourself, or buy it premade if you’re short on time. A 130-foot dipole of this type should be usable on almost every HF band. Shorter versions will also work, but you may not be able to load them on every band. You may discover that you cannot achieve an acceptable SWR on some bands, no matter how much you adjust the tuner. Even so, this antenna is almost guaranteed to work well on several bands, despite the need to retune. So why doesn’t everyone use the ladder line approach? The reason has much to do with convenience. Ladder line isn’t as easy to install as coax. You must keep it clear of large pieces of metal (a few inches at least). Unlike coax, you can’t bend and shape ladder line to accommodate your installation. And ladder line doesn’t tolerate repeated flexing as well as coaxial cable. After a year or two of playing tug o’ war with the wind, ladder line will often break. Besides, many hams don’t relish the idea of fiddling with an antenna tuner every time they change bands or frequencies. They enjoy the luxury of turning on the radio and jumping right on the air—without squinting at an antenna tuner’s SWR meter and twisting several knobs. Even with all the hassles, you can’t beat a ladder-line fed dipole when it comes to sheer lack of complexity. 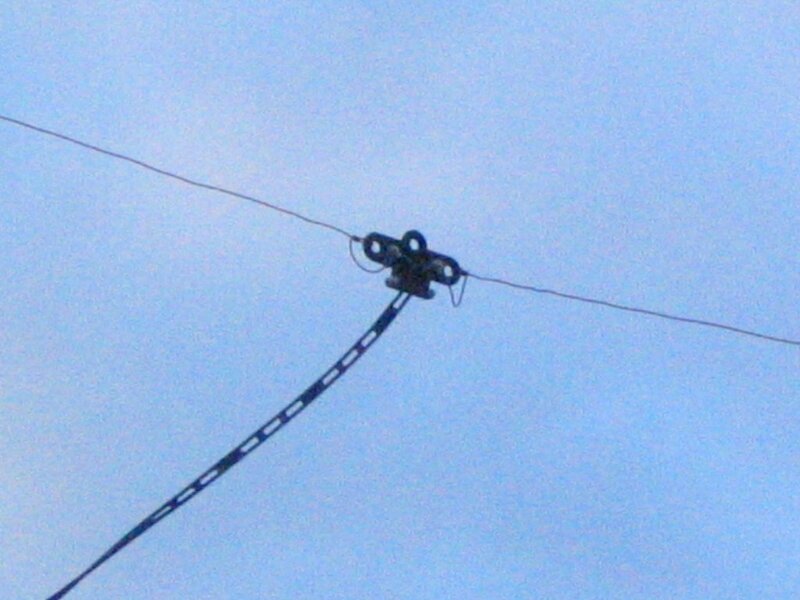 Wire antennas fed with coaxial cable must be carefully trimmed to render the lowest SWR on each operating band. With a ladder line dipole, no pruning is necessary. You don’t even care how long it is. Simply throw it up in the air and let the tuner worry about providing a low SWR for the transceiver. Whichever dipole you finally choose, install it as high as possible. If a horizontal dipole is too close to the ground, the lion’s share of your signal will be going skyward at a steep angle.